Cheri has several certifications to enhance her ability to represent buyers and sellers throughout the entire transaction process. It allows her to make the most informed decisions while brokering a deal. Cheri Meckley is an experienced real estate professional who provides her clients with the highest level of personal service while making the buying and selling process fun and engaging. Her organization and enthusiasm are great assets to her clients, who have benefited greatly from her style and approach. Cheri grew up in Rhode Island and considers herself a true New Englander, despite having lived all over the east coast. She received her Bachelors of Science in Exercise Physiology from the University of South Carolina and entered a career in the medical field as a pediatric and adult echo-cardiographer. 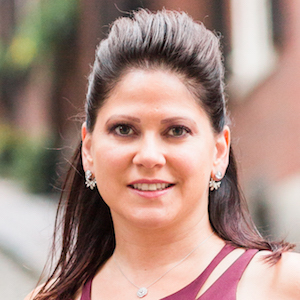 As the owner and manager of properties in Boston and Rhode Island, her true passion is real estate and has been fully immersed in the industry since 2008. Drawing from her own personal experience, she knows what it takes to get deals done efficiently and with the client’s best interests intact. Cheri currently resides in the Theater District and loves calling it home!